This Valentine's bouquet is the very picture of luxury. Apart from the gorgeous 12 Red Roses, we have also included romantic copper ruscus and a selection of foliage including bear grass. 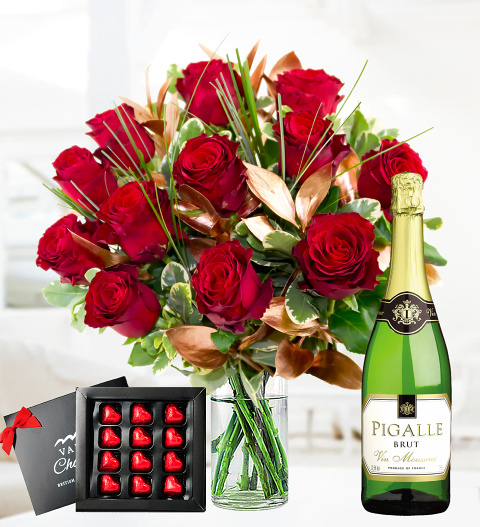 In this deluxe Valentine's gift we've included a beautiful bottle of sparkling wine, bear! Spoil your loved with this Valentine's flower gift this Valentine's Day.